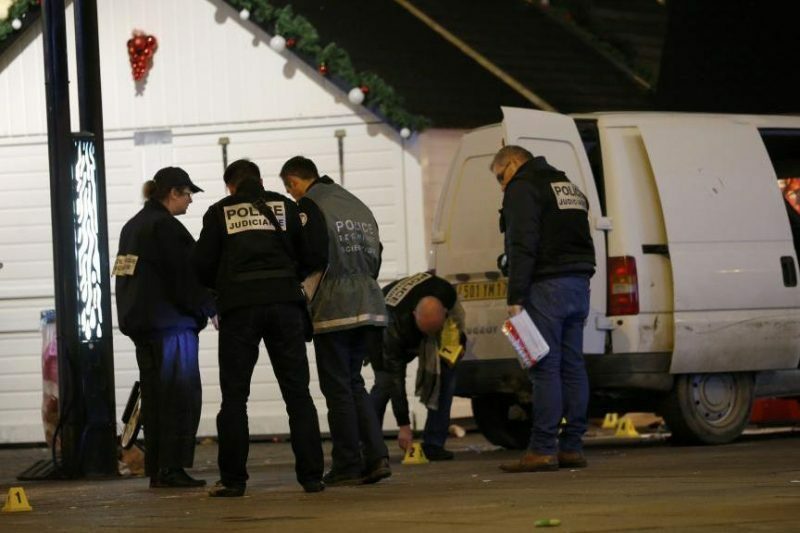 Following the drama of the attacks in Dijon and near Tours at the weekend, a man with apparent mental difficulties, drove his van into a stand at the Christmas Market in Nantes last night. 10 people were injured, of whom 5 are said to be in a serious condition. He then got out of the van and began stabbing himself in the chest. Speaking on Europe 1 radio this morning, PM Manuel Valls assured people that there was “no link” between the three separate and seemingly random attacks that took place over the weekend. In Dijon, a 40-year-old man drove his Renault Clio into five separate groups of people before being arrested, while in a small town near Tours, a former rapper from Burundi was shot dead by police after he attacked and injured three police officers with a knife. Just before 7pm last night (Monday), an individual driving a white Peugeot Partner deliberately drove into a wine stand at the Nantes Christmas Market. He struck several people and rolled over some of them. After the impact, the driver of the van remained at the wheel, took out a knife and stabbed himself a number of times in the throat area. There were 10 injured in all. None of them were children and all were taken to the emergency ward at the CHU hospital in Nantes on Monday evening. 6 of them were released this morning. According to local government spokesperson Brigitte Lamy, one of the injured parties is in intensive care. According to various reports, it is a 25-year-old male with head and throat injuries. There are also indications that one woman suffered multiples fractures that may leave her in handicapped state. The driver is said to be in a serious but stable condition and that his life is not in danger. According to several reports, the perpetrator is a 37-year-old from Saintes in the Charente-Maritime department to the south. The man is well known to police and has had previous citations for crimes including receiving stolen property, vehicle damage and theft. According to news channel BFMTV, notes were found in the van, in which the psychologically unbalanced driver explains having family and psychiatric problems, as well as talking about a fear of being “killed by the secret services”.